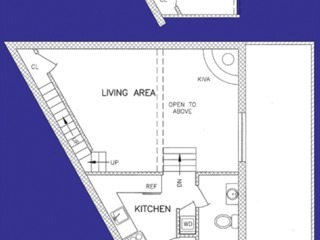 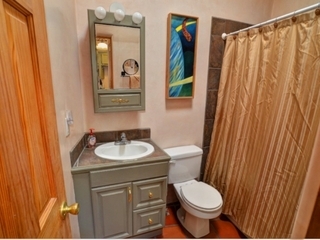 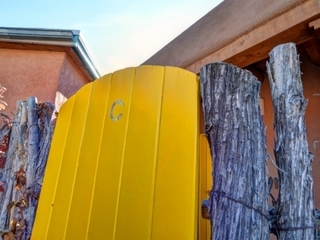 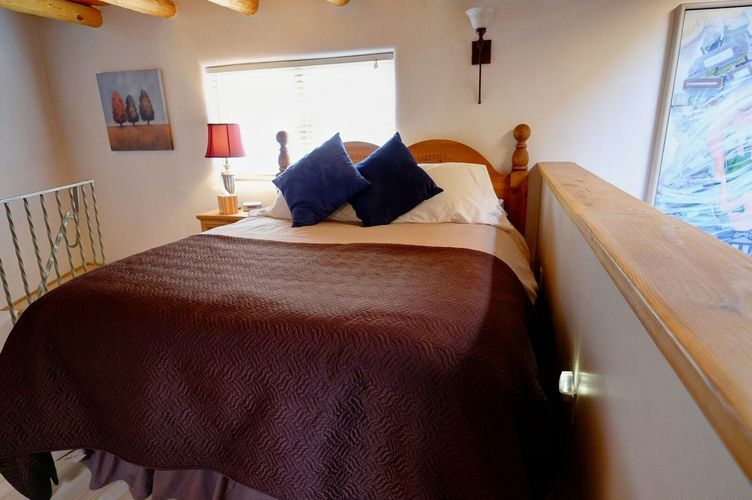 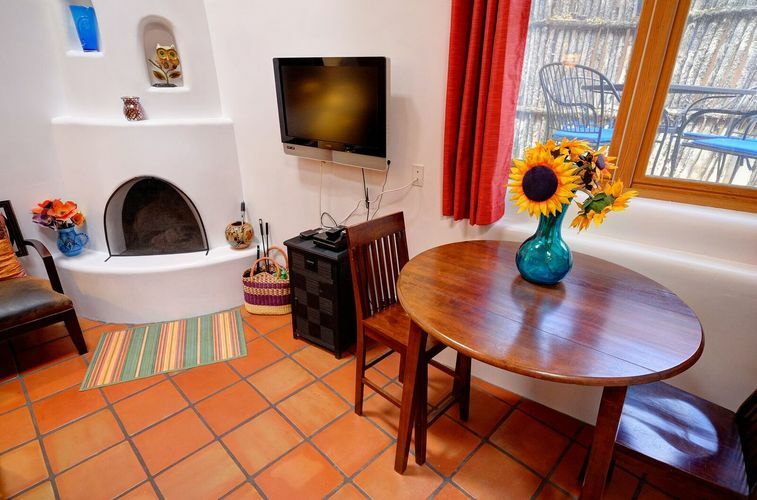 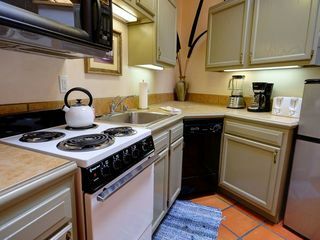 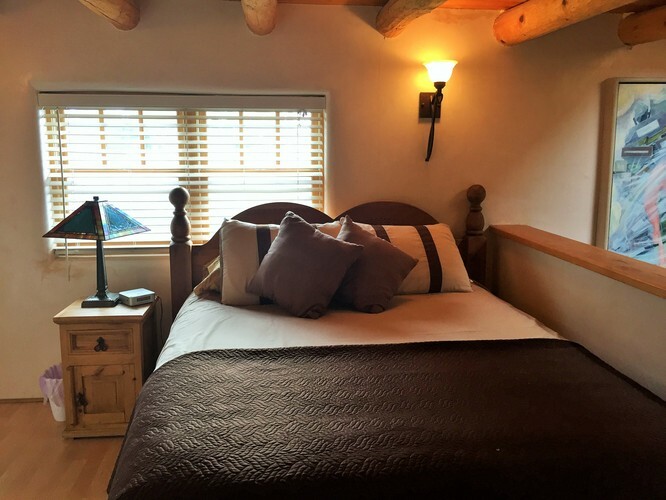 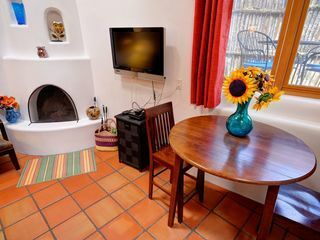 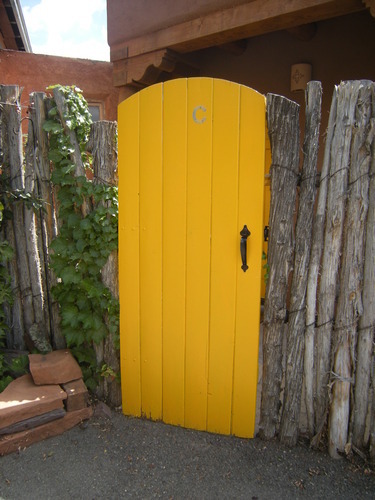 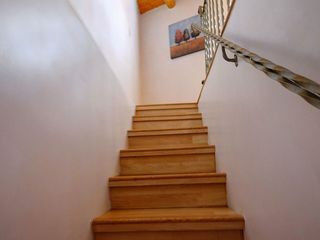 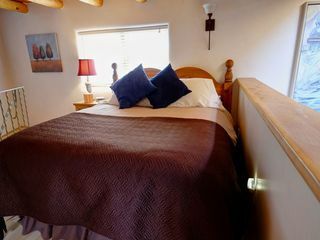 Casita C is a 625 square foot casita that features a one bedroom loft with a queen-size bed and one full bath overlooking the spacious ground floor living area. 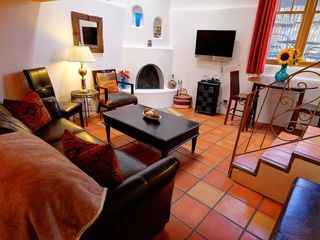 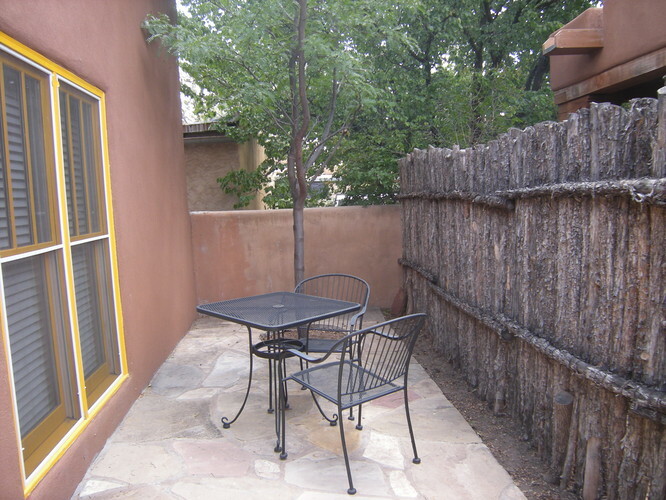 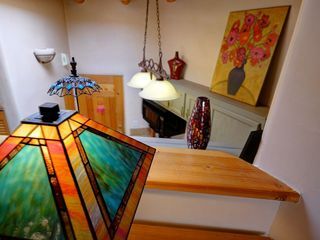 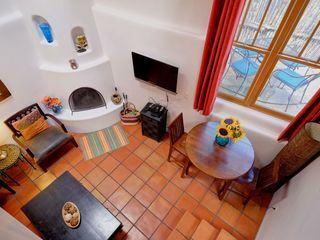 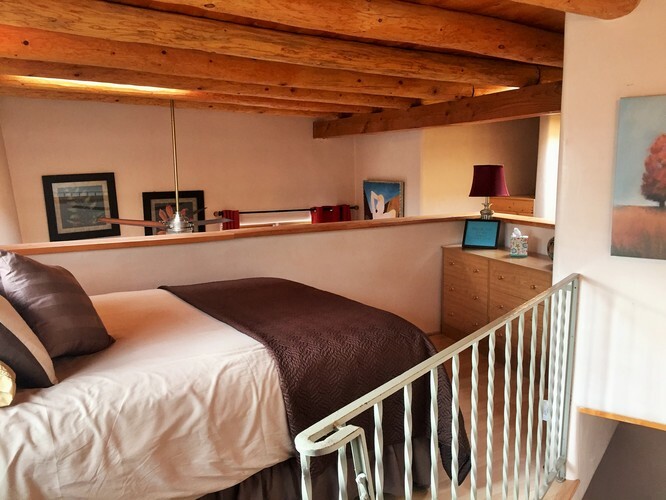 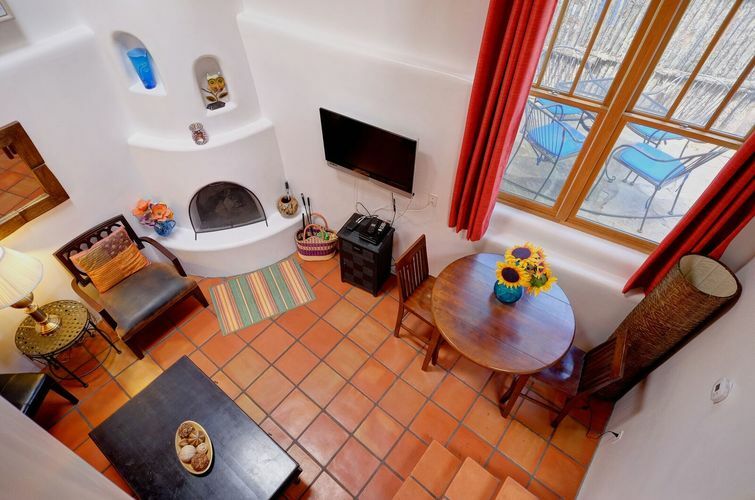 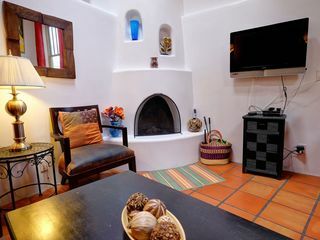 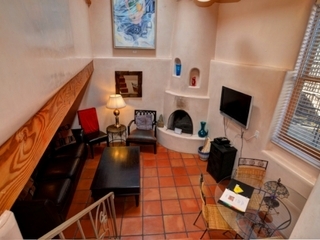 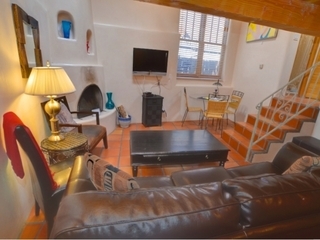 This romantic one bedroom casita has a wonderfully unique floorplan, with an open loft overlooking the ground floor living area. 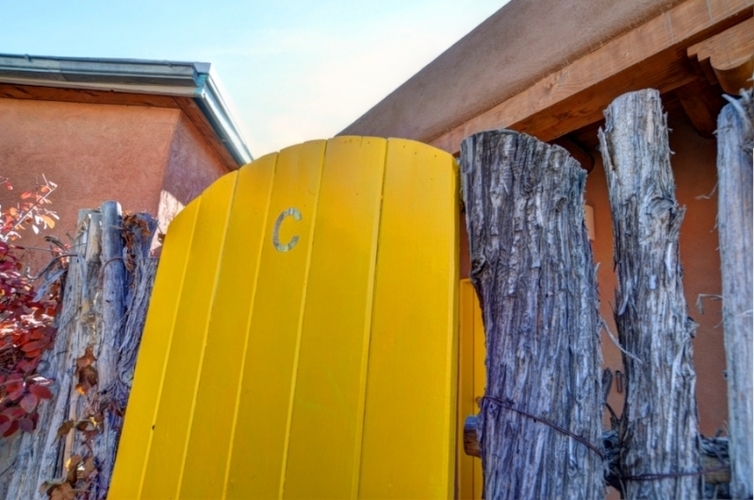 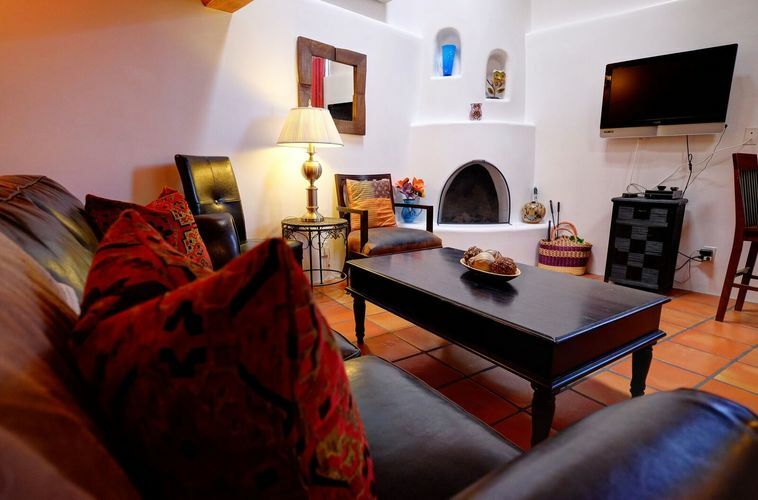 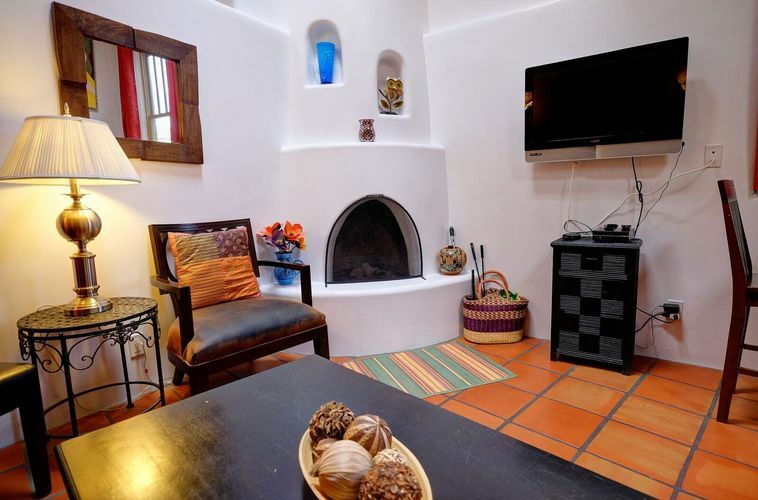 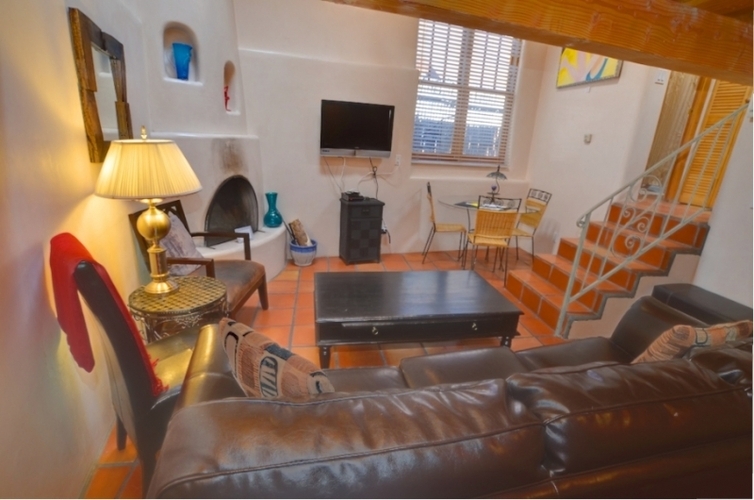 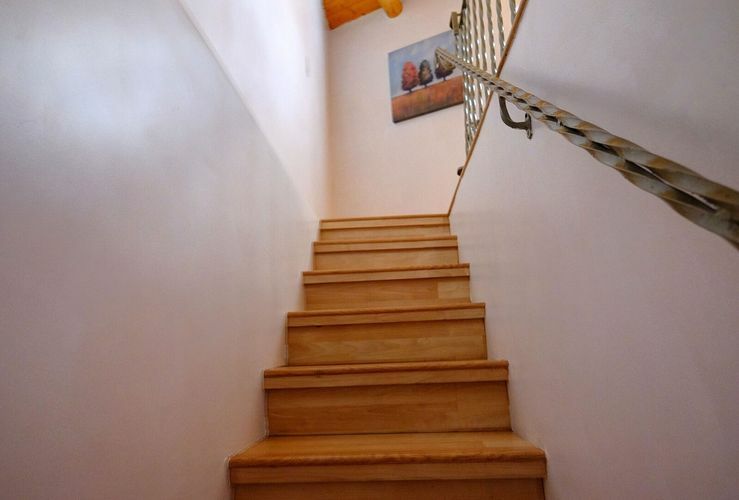 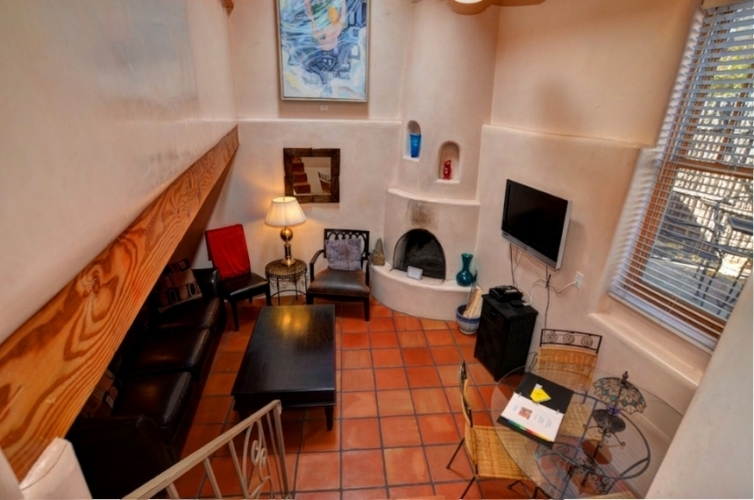 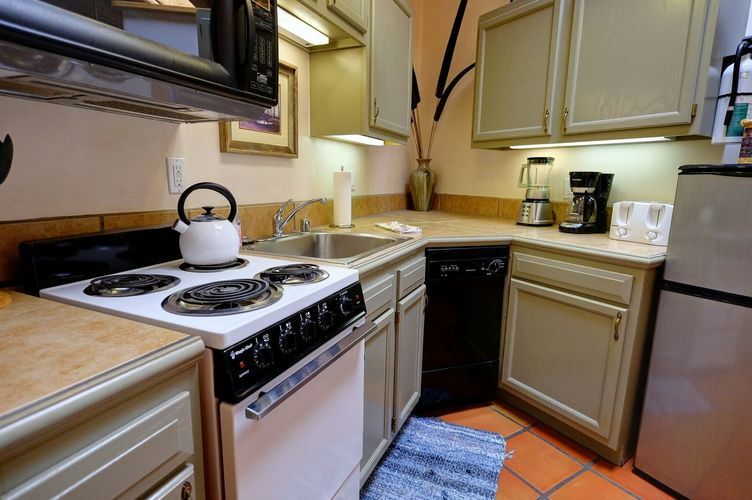 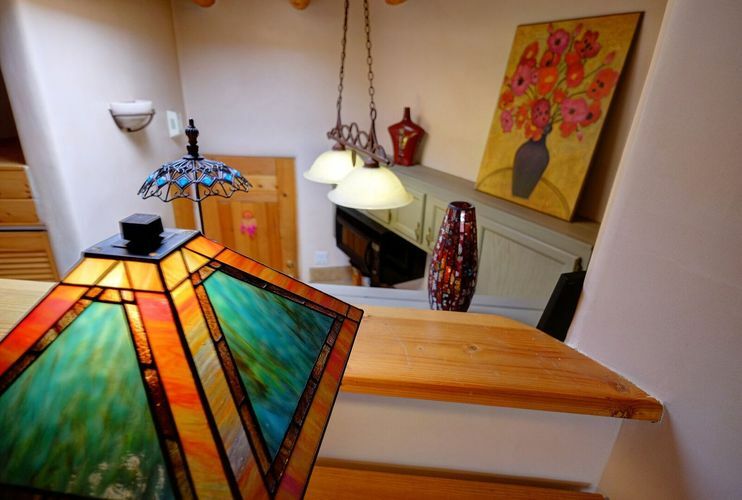 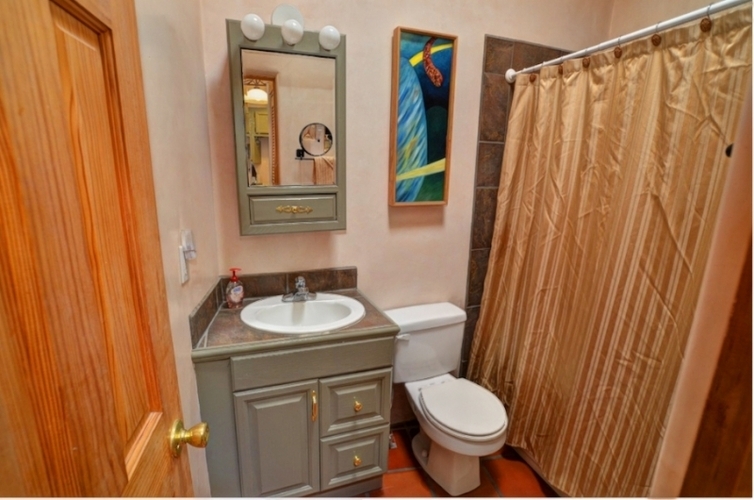 This casita is very spacious, with high ceilings and every amenity right at your fingertips. 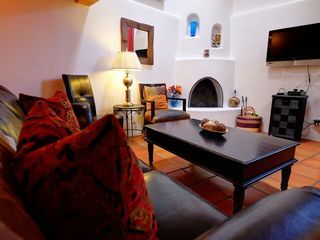 The open space, the flat screen TV and leather furnishings will be enjoyed by all. 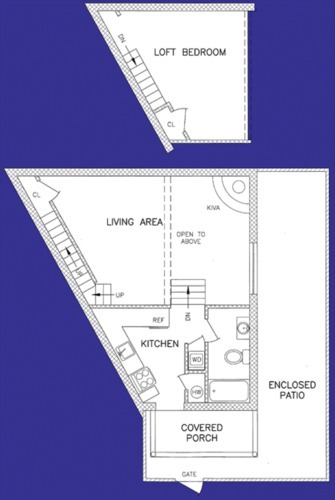 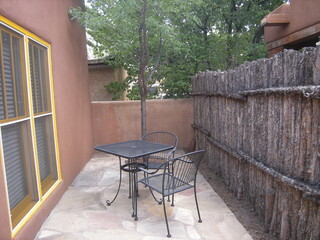 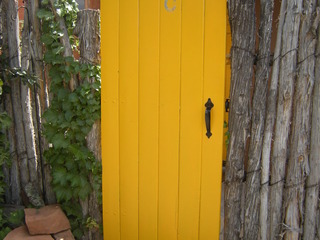 There is also a private, wraparound shaded flagstone patio with covered entry.